This past week, right after our snow day when London got over 70 cm’s, I walked downtown with my camera to take pictures; I had to get out of the house after five hours of marking student papers. I recently read, somewhere, that you should treat your home as if travelling. So, become just as curious about where you live as where you travel–become just as social and energized. I am trying. God knows, I am trying. I stopped to help push a car, took pictures of a dog burying a bone, talked to an old couple shovelling their drive way, and even chatted up a pair of frozen friends. It’s as if this snow made us closer in our collective quest to ‘get out’ from under it. 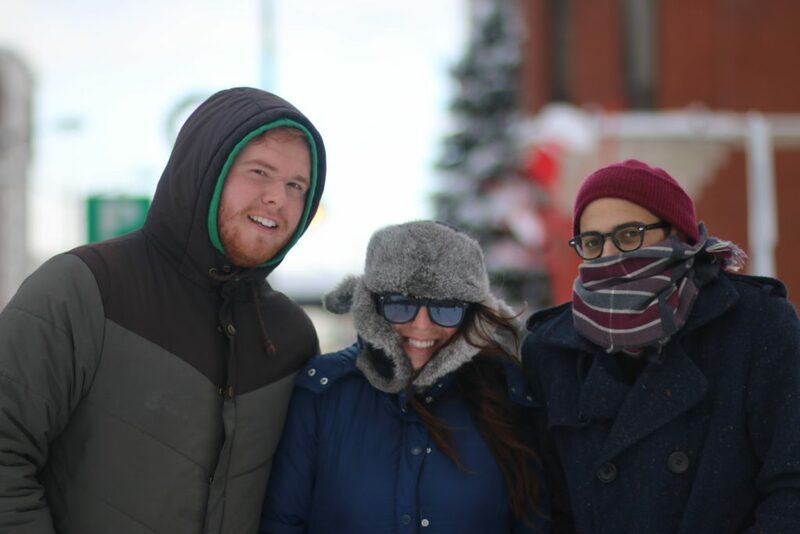 This is a sprinkle of people and places covered in lovely snow. But trust me, I won’t be in a ‘rainbows and lollipops’ mood when it turns to dirty grey mush. 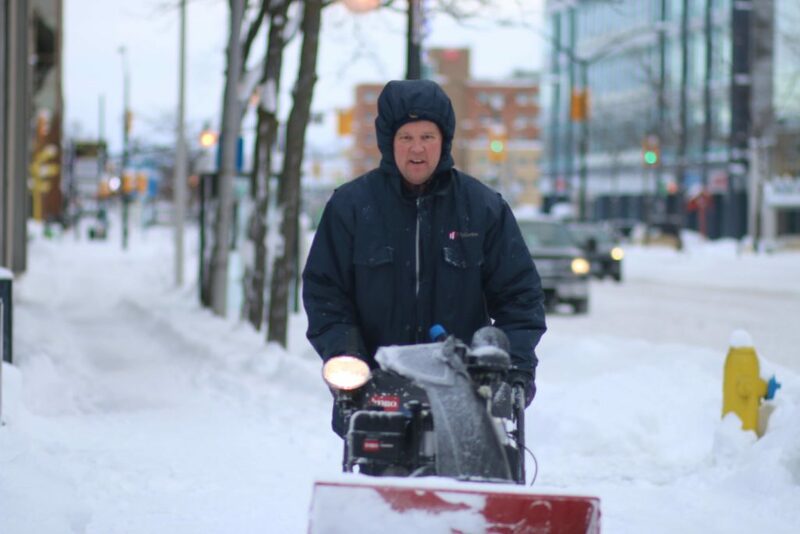 On Wellington and Dundas, snow-blower dude lit up when I took his picture. 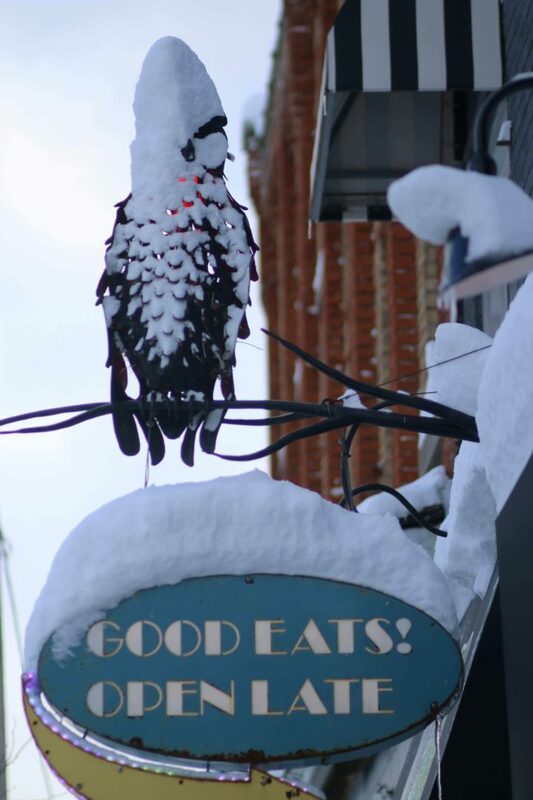 The Early Bird Diner on Talbot. Best place in London for big salads (beets, goat cheese and panchetta). 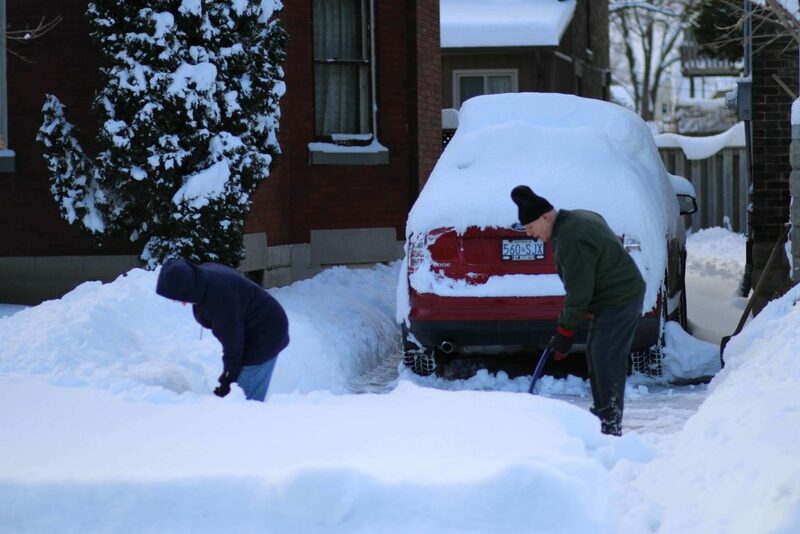 On Wortley Road, a couple shovelling in unison. “We’ve got another shovel,” she announces. Haha. Funny lady; I keep walking. 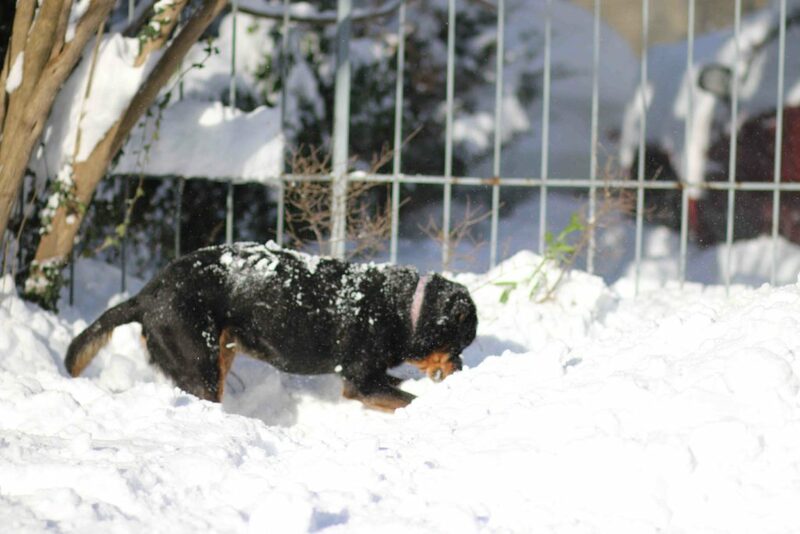 I loved when my dogs bounded through the snow–this little guy was digging for a bone and his tail was waging the entire time. I love you puppy-face. This is a screen shot of this beauty–it was too large to export. 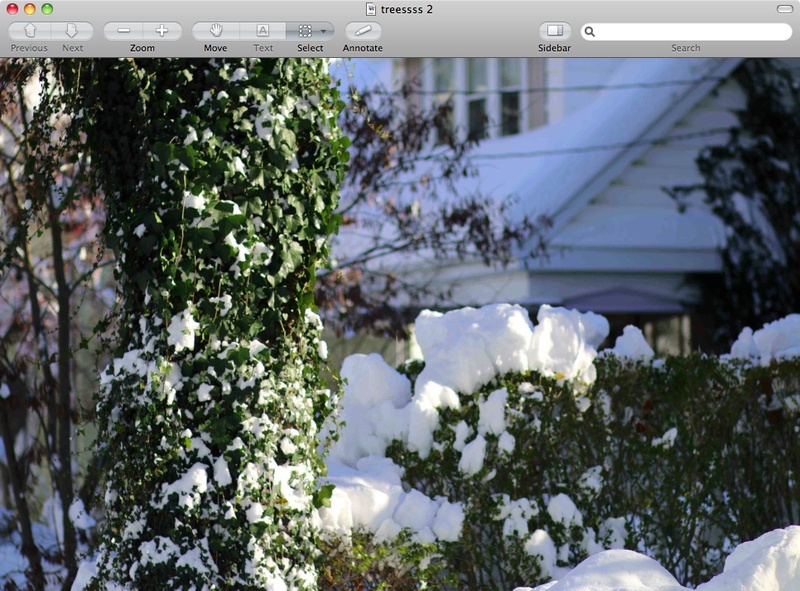 I love how the green leaves and snow merge the seasons. It might not be exotic Portugal or Morocco, but this walk reminded me to love where you are, right now, and I do.